- High Quality Tank Chap/Bib made from black cowhide split leather 2.9mm thick with 9mm studs. 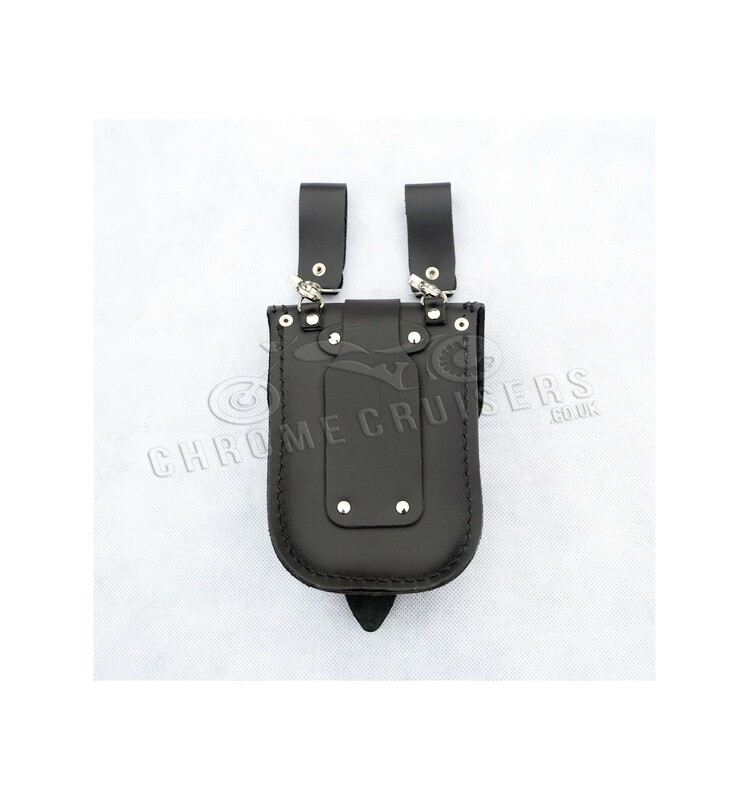 - Comes with removable black leather pocket/pouch to keep belongings within reach. The pouch can be removed from the tank chap and attach to your belt as a belt pouch. - Few leather mounting straps included in sale. - Dimensions: Tank chap length - 695 x 245mm and Pouch length 175mm(6.88 inch) x width 110mm (4.3 inch).